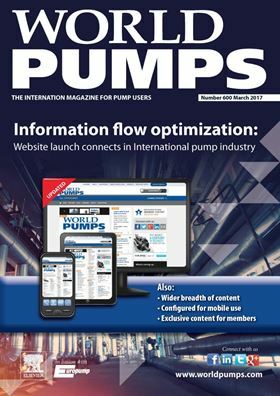 For 60 years, World Pumps has been the world's leading pump magazine, keeping the pump industry and its customers informed about all the technical and commercial developments in their industry. Sign up for your free member account and you'll get access to everything on the site, including exclusive comments, interviews, and educational seminars (webinars). You'll also find the latest news on established and emerging topics in advanced materials, as well as information on the latest equipment and events. Visit the features page for free access to specially selected articles from World Pumps, and find your next position via the jobs board. Elsevier is a world-leading provider of information solutions that enhance the performance of science, health, and technology professionals, empowering them to make better decisions, deliver better care, and sometimes make groundbreaking discoveries that advance the boundaries of knowledge and human progress. Elsevier provides web-based, digital solutions — among them ScienceDirect, Scopus, Research Intelligence and ClinicalKey — and publishes over 2,500 journals, including The Lancet and Cell, and more than 35,000 book titles, including a number of iconic reference works. Elsevier is part of RELX Group, a world-leading provider of information and analytics for professional and business customers across industries.